Enjoy the natural beauty, tranquility and friendliness that Ambrose Trailer Park has to offer. 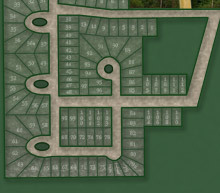 Our sites average 50 x 100 feet, tastefully laid out in large cul de sac formations with plenty of privacy. Ambrose Trailer park has an abundance of trees, birds and wild life we know you will enjoy. 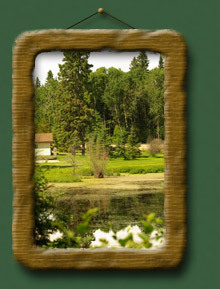 Take a scenic 3 minute drive to the gorgeous and challenging 18 hole, par 72, Emma Lake Golf Course. Enjoy a 5 minute walk to Neis' Beach for some relaxing beach time or take a dip in the lake to cool off on those hot summer days! Ambrose Trailer Park is right next door to Bear Country and Ambrose Grocery. Stop in and say hello to Treena and Rob for all your grocery needs including a fully stocked Liquor Store plus Fresh Meat and Produce , which are always available. Click on the button below to sign up and we will contact you shortly.